Bringing yoga off your mat into your life, one pose at a time. I’m a fan of the woman pictured above. She caught my attention in 2012 doing a photo shoot with plankton eating whale sharks in the Philippines. Now she has appeared again, popping up on my yahoo home page, floating in lotus pose above a giant endangered manta ray. This visual act of beauty and bravery is begging the observer to pay attention. And we should. These activists are using yoga to send an important message. That is one reason why I am sharing the picture here. Sharks and rays are endangered. They are over fished and their numbers are dwindling. It’s difficult to see these well documented predators as victims and in need of our help. They do not appeal to our empathetic instincts. In short, sharks are the public relations nightmare of the animal kingdom. Regardless of their violent reputation, they are an important part of our ecosystem and need protection. The other reason I shared this picture is because it draws me back to a very specific moment. 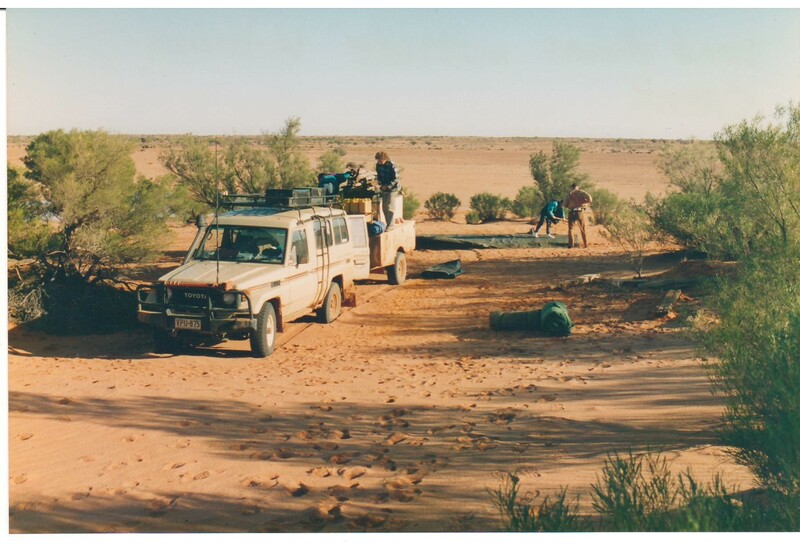 In the 1990’s, I was part of a small group of backpackers making our way through the Australian outback in a crowded Land Rover. 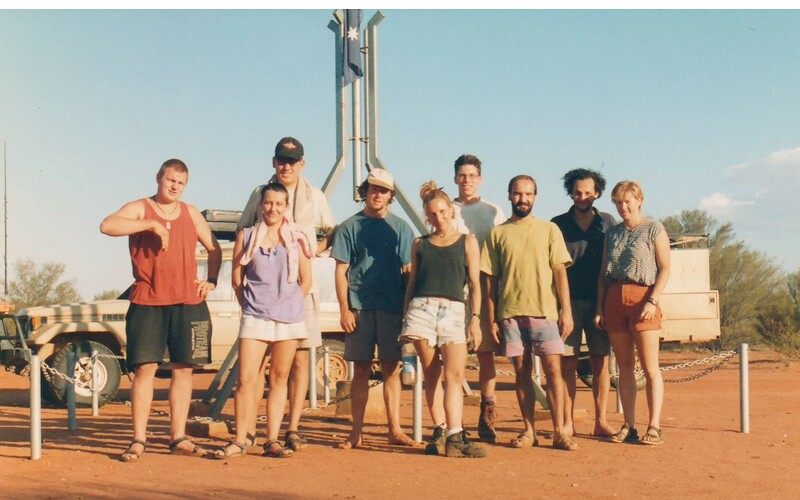 On one leg of our tour, we crossed the 1700 miles from Adelaide to Perth across the Nullarbor Plain. The Nullarbor is a flat, almost treeless, arid area between southern and western Australia, located on the Great Australian Bight coast. 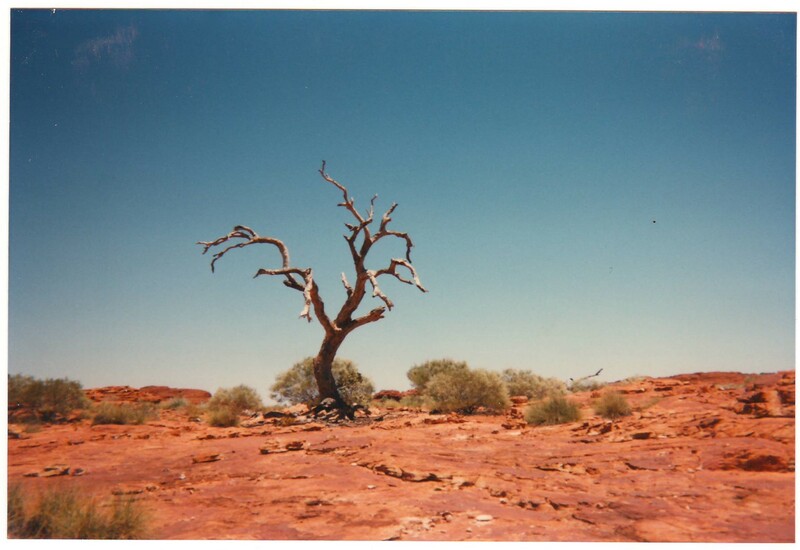 I took this photo on the edge of the Nullarbor Plain with a disposable camera. 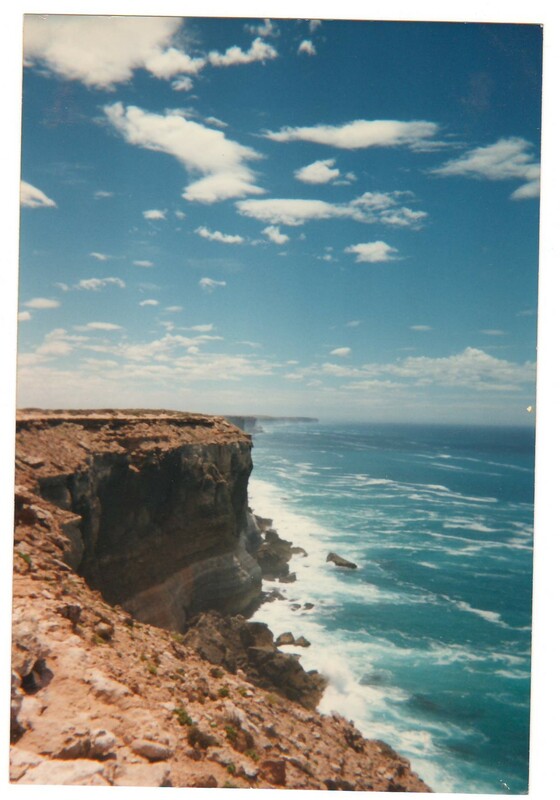 I snapped this photo on the other side of the tree pictured above, peeking over the 200 foot drop of The Great Australian Bight. 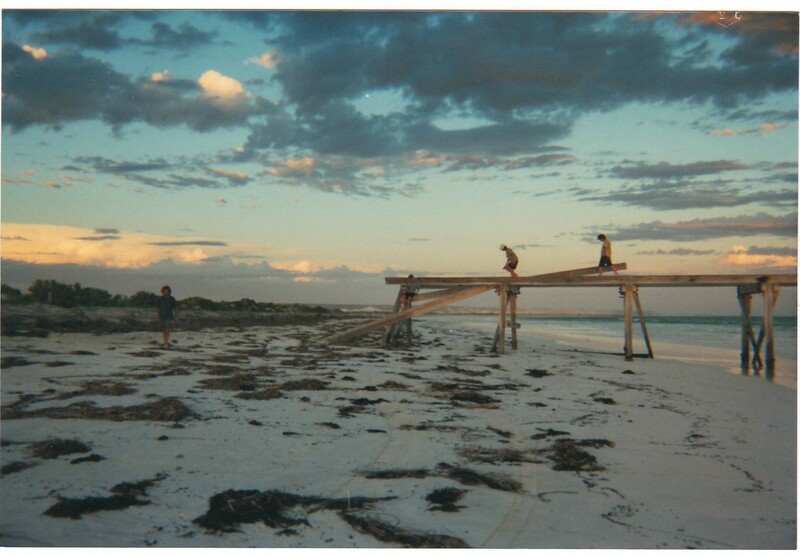 We had stopped on a deserted peninsula in Southern Australia and were wading into the waters of the Indian Ocean. The closest town was about an hour away – and when I say town, I mean gas station. We were up to our hips in the clear, crystal blue water when a large dark form appeared, swimming about 20 yards away from us. Two of my fellow travelers grabbed their snorkel gear and headed straight for it. I headed for dry land. As much as I am a supporter of the shark’s cause, I’m terribly afraid of them. I’m not interested in swimming with them, photographing them or bumping into them under any circumstance. Turns out it was a manta ray. It stayed in the shallows, letting them observe it closely for about 15 minutes, then it disappeared back into the deep. When my friends returned to the ankle deep water, where I had staked my claim, they were exhilarated. They talked excitedly about the connection they felt with the creature and the gentleness of the giant fish. I was so excited for them. But never, even for a moment, have I regretted my decision to leave that dark looming figure alone. I love the ocean and adventure, however I will not subject myself to that level of vulnerability. The probability of that large swimming shadow being a Great White was a little too high for my taste. 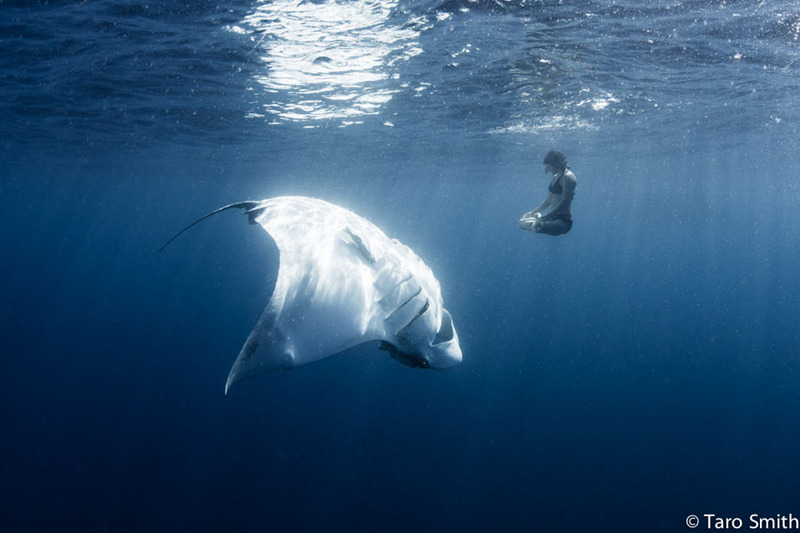 The essence of that statement is captured in the photograph of Amy Ippoliti and the manta ray. She took an enormous risk to raise our awareness. Her drive to bring attention to the plight of these massive animals gave her the strength to be vulnerable. So many times we look at vulnerability as a weakness, when really it might be the strongest pose we can take. Categories: Yoga | Tags: amy ippoliti, asana, Australia, balance, life, lotus pose, manta ray, Namaste, nullabor plain, pose, sharks, the great Australian bight, travel, vulnerability, yoga, yoga pose | Permalink. Enter your email address to follow off your mat and receive weekly updates by email.